Why Visit An Event Taking Place In…Vancouver? Home>All News>Why Visit An Event Taking Place In…Vancouver? Ready to plan your trip to Vancouver? We’ve got everything you need for putting together a great visit! 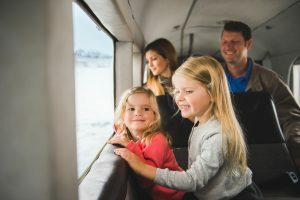 You’ll find information from getting to Vancouver and transportation while you’re there, through to day trips and cruise adventures, and accessible travel for those with special needs.
" Vancouver has an endless supply of attractions and things to see and do. It doesn't matter what time of day or what time of year - whether you want to be indoors or out, active or a spectator, spend a lot of money or none at all - Vancouver has it all!	" A meeting in Vancouver is unlike any meeting you’ve attended before. A diverse city on the edge of spectacular nature offers a wide range of services and experiences, with stunning scenery, world-class dining and renowned sightseeing that are second to none. With North America’s second-largest west coast airport, Vancouver is easily accessible from all corners of the globe. Vancouver is home to the award-winning Vancouver International Airport (YVR), just 30 minutes from the city centre. 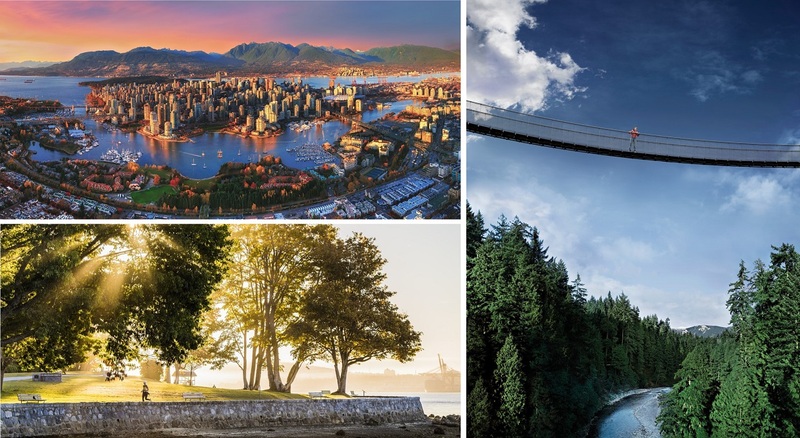 Vancouver is the gateway to the rest of Western Canada, making it easy to explore the region with pre and post-meeting excursions to areas including Whistler, Victoria, the Okanagan wine region; or on trips such as a Rocky Mountaineer train adventure or a Vancouver/Alaska cruise. Vancouver boasts an accessible and convenient public transit system, offering a great way to see the city. Most of Vancouver’s top attractions are reachable via transit. TransLink is Metro Vancouver’s regional transportation authority and operates a public transit system made up of a network of buses, the SkyTrain, and the SeaBus, as well as the West Coast Express commuter train service. The Vancouver region has more than 25,000 guest rooms, with about 13,000 in the city centre, so from economical to boutique, Vancouver accommodations are sure to suit any budget and taste. Vancouverites know their city’s culinary scene. They know where to find the best tower of fresh seafood, the finest house-made charcuterie, the most delicious taco truck, and the best list of B.C. wines. Vancouverites are entirely capable of having a stand-up argument about which sushi restaurant is the best, even if both restaurants are exquisite. And the city’s restaurants, wine bars, tasting rooms, cocktail dens, food trucks, farmer’s markets and bakeries are absolutely deserving of this passion. 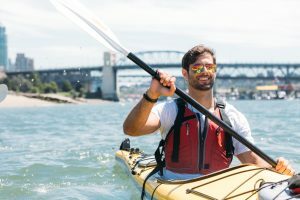 Vancouver is the perfect destination for those looking for the adventure of a lifetime! From heart-pounding thrills set against a spectacular backdrop, through to serene journeys into nature, and family-friendly fun, you’ll find plenty of options to create smiles and build life-long memories. Perfectly situated and easily accessible, Vancouver is the ideal home port to begin or end an Alaskan adventure. Blessed with stunning vistas and exciting activities, Vancouver offers the perfect blend of urban and natural experiences. Consistently recognised as the “Best City to Live in the World” by the Economist Intelligence Unit and “Best City in the Americas” by readers of Condé Nast Traveller magazine, Vancouver is a must for any cruise itinerary, and a stay of two or three nights pre or post-cruise will allow you to truly appreciate one of the world’s finest cities. You don’t need to be attending a wellness retreat to want to bring a sense of balance to your trip. Many travellers are increasingly looking for ways to add healthy activities to their visit, keep up their fitness regimens, and return home feeling better than ever. 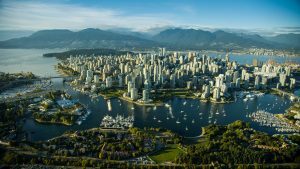 Even if visiting the city on business and looking for some “me time,” Vancouver has plenty of options that are good for the mind and the body. Greater Vancouver is a paradise for kids of all ages! There are literally hundreds of outdoor and indoor activities to entertain kids and parents all day, every day, year-round. 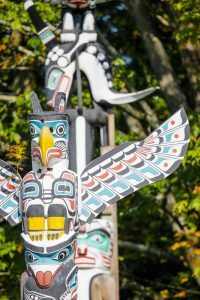 Vancouver is one giant adventure playground, with interactive museums, cool attractions, fun festivals and amazing parks. The Visitor Centre is your one-stop shop for planning your time in Vancouver. The centre is located downtown, just steps away from the Vancouver Convention Centre. 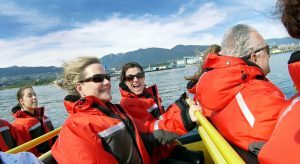 The professional, multilingual, highly-trained staff can help you make the most of your Vancouver experience and plan your journeys into British Columbia and beyond. For more information on Vancouver, visit TourismVancouver.com for more resources and ideas.